Second shot to an undulating green. 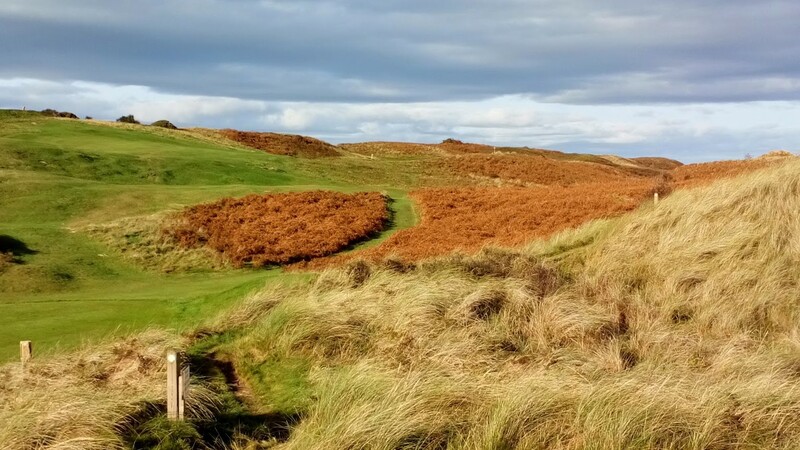 Drive to the raised fairway - take on as much of the dog-leg as you dare. The third is the signature hole. Drive up to the raised fairway and then turn right to the green. A true 'risk and reward' hole. 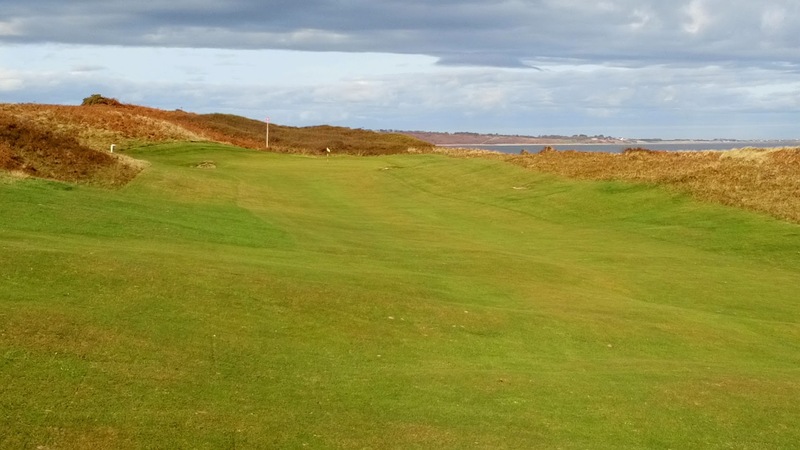 Take on the dog-leg and be left with a short iron to the undulating green. Take the safe route and what remains is a medium to long iron at best or a fairway wood if the wind is against. Second time round even more as the drive to the fairway is an extra 100 yards.